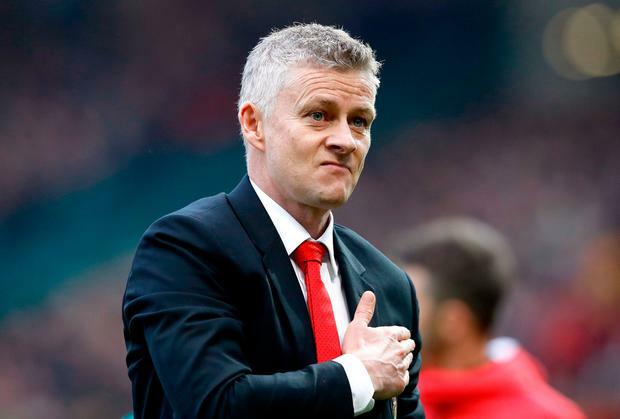 Ole Gunnar Solskjaer has admitted that Manchester United's injury crisis is a by-product of his attempt to give the team back their attacking identity. United will be without as many as 10 players against Crystal Palace at Selhurst Park tonight as the impact of a change to a more intensive playing style under Solskjaer takes its toll. United are making an average of 10 more sprints per game in the Premier League than they were under former manager Jose Mourinho this season and it has resulted in Jesse Lingard, Anthony Martial, Nemanja Matic, Ander Herrera and Juan Mata succumbing to muscle injuries. With Marcus Rashford also a serious doubt with an ankle injury, midfielder Paul Pogba could be the only member of Solskjaer's first-choice front six who is fit. Defenders Phil Jones, Antonio Valencia, Matteo Darmian and Mason Greenwood are also injured, which has led to Solskjaer calling up youngsters Tahith Chong, Angel Gomes and James Garner. But the interim manager has insisted there will be no let-up in his approach and stressed that players must get used to dealing with such a workload if the club are to return to the top. "It's probably linked, yes," Solskjaer said when asked if the injuries were a consequence of United's more intense playing style. "When do you make that change, do you wait until pre-season and think you will change results by just not asking them to run, or do we start now and show them what the demands of intensity are and how we want to play? "I have chosen that we need to play as a Man United team, and if you want to be a part of Man United, it's a survival of the fittest, isn't it?"